Synopsis: In a future in which emotions have been forbidden, two young people fall in love. “Were you tall as a child?” Nia (Kristen Stewart – Adventureland, Snow White and the Huntsman) asks Silas (Nicholas Hoult – Dark Places, Mad Max: Fury Road) in Drake Doremus’s Equals. It’s the kind of inane question new lovers have asked one another across time, but Silas and Nia live in a society of the future in which such a question is forbidden. A stable, peaceful society has been attained through the eradication of all human emotion, and mankind seeks only to expand its knowledge of the world in which it lives. People lead lives of tranquil isolation, coming together only to work. They never touch and show very little interest in one another, but they are courteous and polite. At night, they return to their single apartments to relax by solving puzzles before going to sleep. But emotions are powerful and insistent, and in some they refuse to be extinguished completely. Those in whom emotions are resurrected are politely shunned, and identified as suffering from a syndrome which will lead to their death in containment if they fail to respond to medication. Some choose to end their lives before the Switched On Syndrome reaches its third – and usually fatal – stage. One of them throws himself from the top of the building in which Nia and Silas work, and it’s then that Silas notices the faintest signs of emotion in his workmate. When he is diagnosed as having Stage One of the syndrome, he approaches Nia, and, despite her claims to the contrary, his suspicions that she is hiding the fact she too has SOS are proven to be correct. Eventually, the two become lovers, but hiding their feelings for one another grows increasingly difficult. While Equals shows little originality in terms of its storyline, it does at least offer food for thought in the parallels to be found between its vision of the future and certain aspects of the world today. Medicine is already a convenient means of regulating our emotions rather than just a cure for our ailments, and new technology paradoxically builds barriers between people while simultaneously shrinking the globe. But these concepts are only tentatively probed, and little time is devoted to explaining just how this dystopian society actually functions. One can almost imagine a Metropolis-like somnambulistic underclass toiling in tunnels to create the electricity that powers those pristine white towers in which Nia and Silas work. But who monitors these human drones? Doremus is unconcerned about providing this kind of detail, preferring instead to chart the seismic impact of their emotional awakening on the two lovers. Unfortunately, this strand lacks the poignancy we might be entitled to expect, largely because Equals only really explores the lovers’ feelings for one another. Other awakened emotions are ignored, even though they would surely be overwhelming for someone who life has previously been one of docile acquiescence. A third-act twist sees the plot take over, and Nathan Parker’s screenplay (from Doremus’s story) strays into a Shakespearean sphere of tragic misunderstandings which does the film no favours at all. Some incorrectly consider its climax to be ambiguous, but Doremus is actually posing a fascinating and intriguing question regarding whether a person with memories of emotions now suppressed can ever really be the person they were prior to their brief emotional awakening. Like its white-suited cogs filing obediently into their work places, Equals lacks the individuality to rise above similar films of its ilk, and will probably be forgotten five years from now. 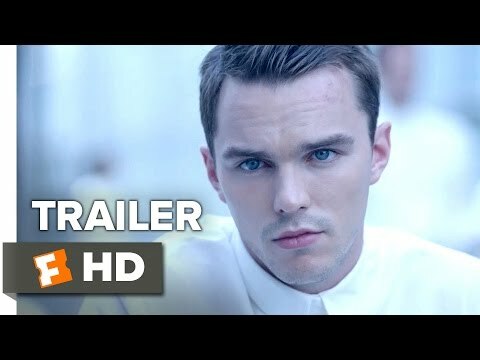 It’s a decent enough movie, though: watchable – and Hoult and Stewart both give good accounts of themselves.